defense Mortification FINAL POWERPOINT from Lauren Tenney on Vimeo. 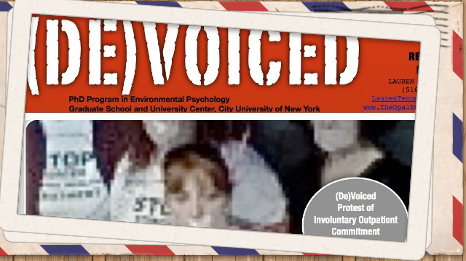 (de)VOICED: Human rights Now. Part Two: Contaminative Exposure. Modern evidence for human rights violations carried out by psychiatry. Defense FINAL POWERPOINT Contaminative Exposure from Lauren Tenney on Vimeo. Historical and modern evidence for the liberation movements of people who are psychiatrically assigned. Defense FINAL POWERPOINT Liberation Psychology from Lauren Tenney on Vimeo.